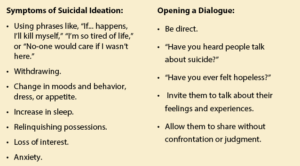 Suicide is an often dreaded – and therefore avoided – conversation, but it is also one that is important for parents to have with their children, according to Psychiatrist Audry Van Houweling, who said there has been a sharp rise in suicide and suicide ideation among youth in recent years. 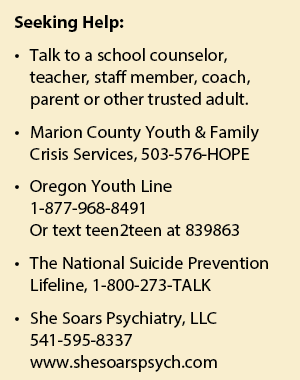 Van Houweling, owner of She Soars Psychiatry in Silverton, said one of the many myths that cling to the subject of suicide is that it doesn’t happen – or that it happens less – in small, close-knit communities like Silverton. Exacerbating the pressure is the rise in social media use, which Van Houweling said is “a constant barrage of pulling yourself into a place of comparison.” She also noted that the sharp rise of young suicide victims coincides with the advent of smart phones and social media platforms such as Facebook and Snapchat. Although those statistics are looking at youth across the nation, Silverton High School Counselor Stacey White noted that she has seen the number of children negatively affected by social media on the rise within the Silver Falls School District as well. Although some stress is common in adolescence, it is the method used for dealing with that stress that makes the difference, according to Jennifer Hannan, the Director of Teaching and Learning for the Silver Falls School District. 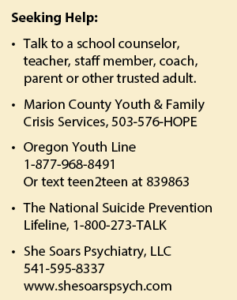 Because educating students about effective coping skills has such import, Hannan and the Silver Falls School District as a whole have been actively implementing a new curriculum based on teaching social and emotional skills from kindergarten up. The district is also working to combat the rise in at-risk students by training 50 additional staff members in mental health support. It has begun offering parent education opportunities which discuss the impact of social media, cell phones and video games. “Parents are our best and first line of defense to see behaviors, changes, and stressors in our kids,” Hannan said. 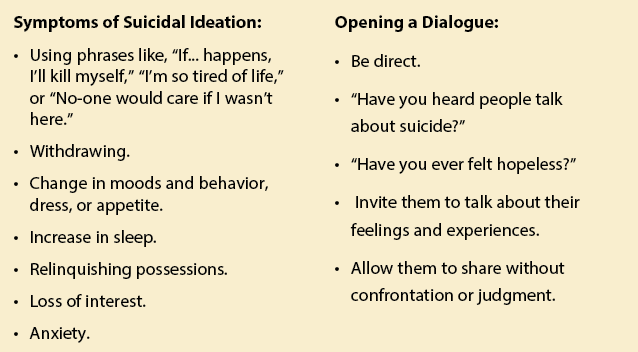 Van Houweling also sees parents in this role, but she goes a step further by encouraging extended families and community members to talk openly with kids about suicide. And that is where community – and specifically the connectedness of small towns – comes into play, according to Van Houweling. She hopes to create connections between local health, wellness and support programs, and discuss the ways the community can help lessen emotional burdens and minimize stigma for those suffering.